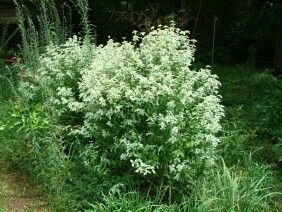 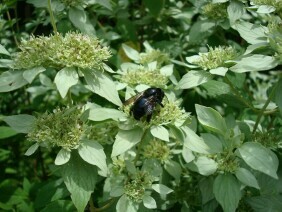 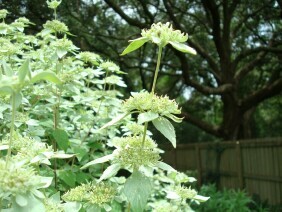 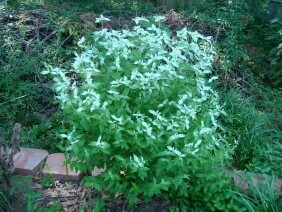 Whiteleaf Mountainmint is a member of the Mint family. 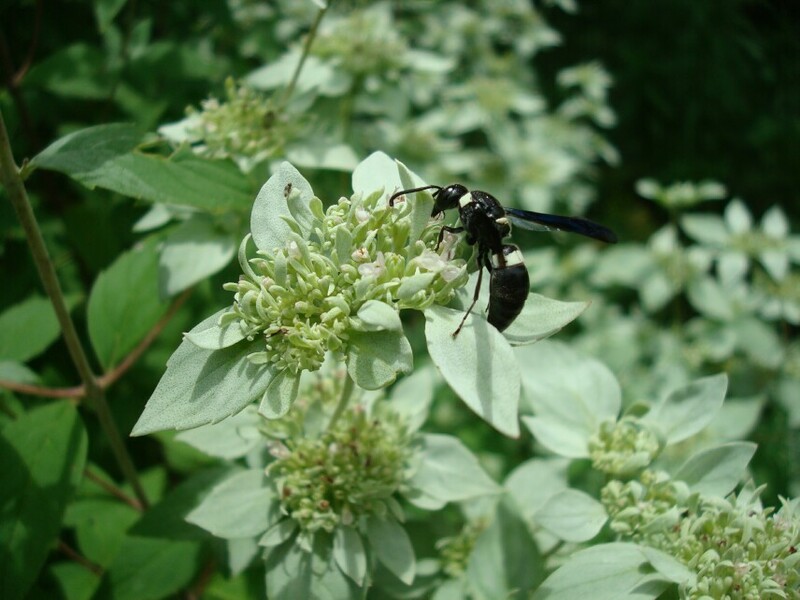 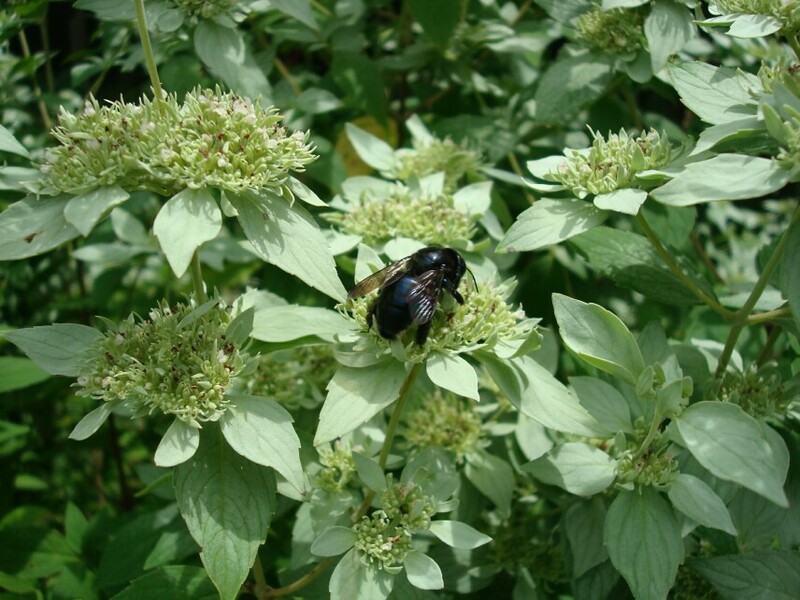 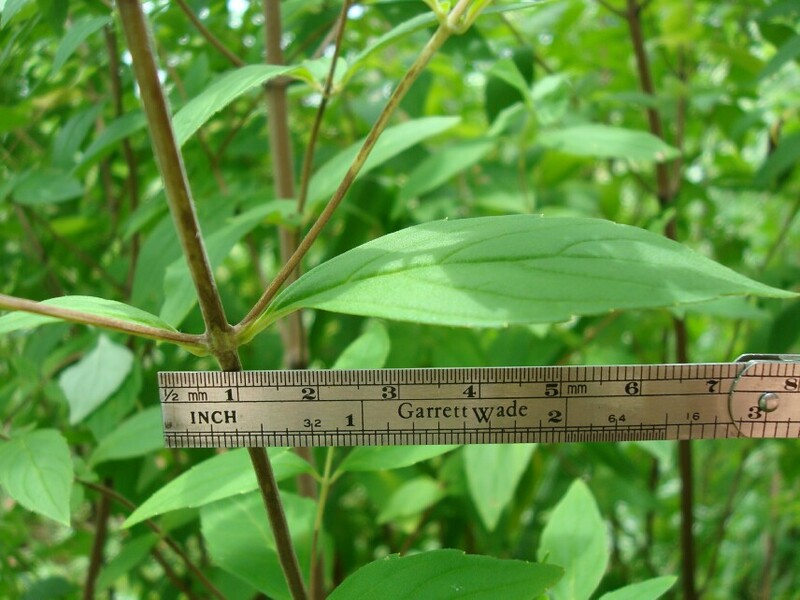 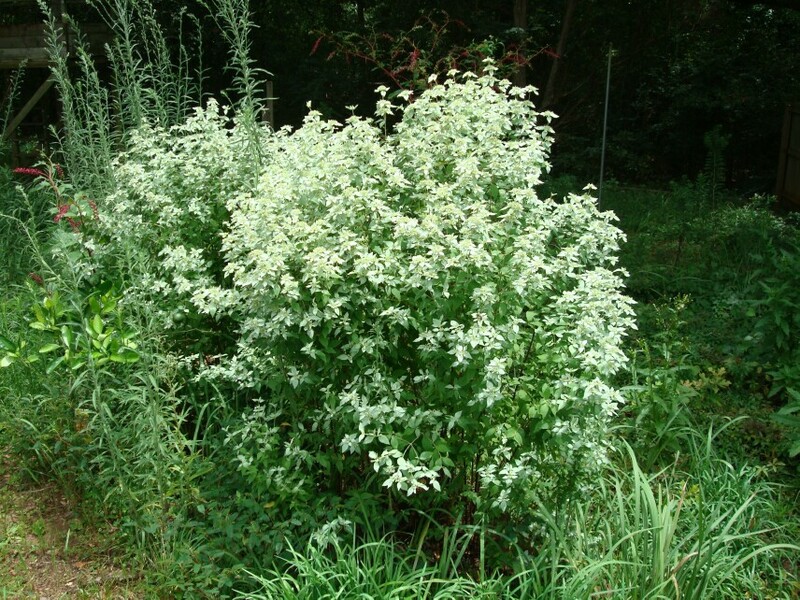 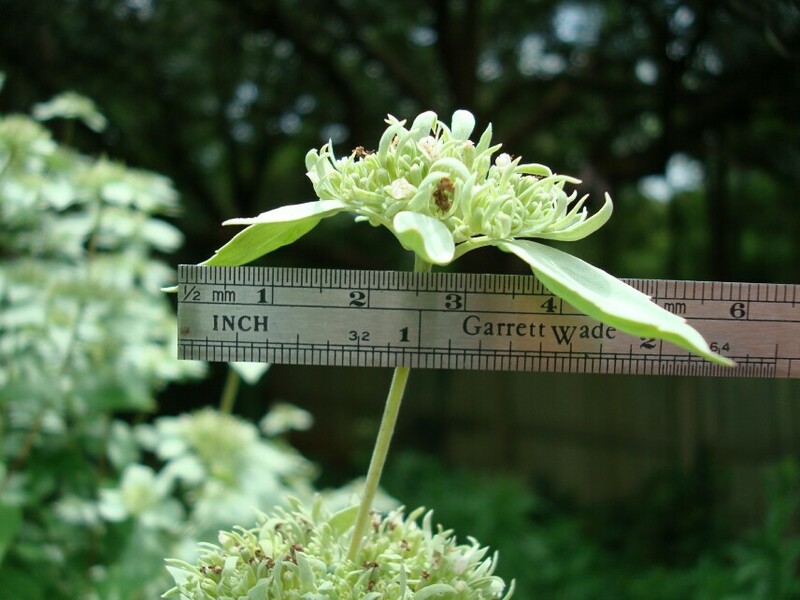 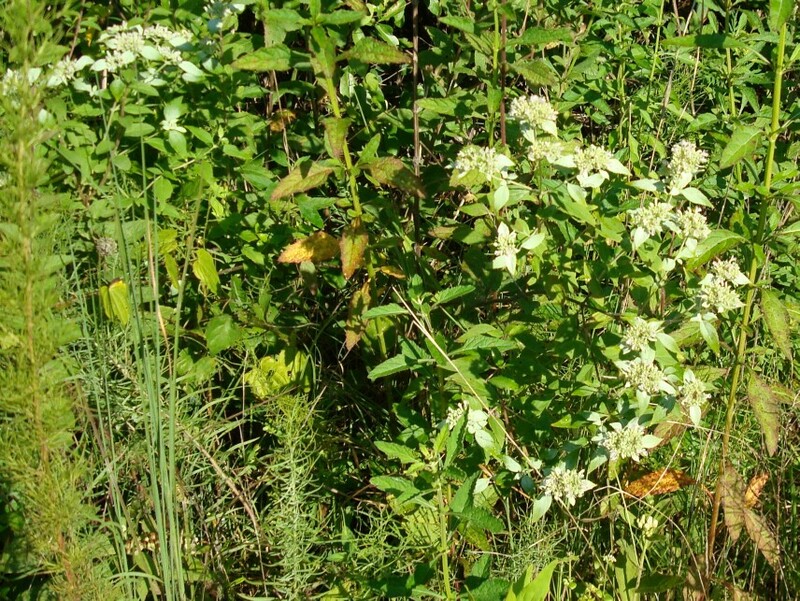 The name name mountainmint may refer to the way that the upper leaves of a mature plant turn white, like a snow capped mountain. The leaves of Mountainmint are very aromatic when crushed. 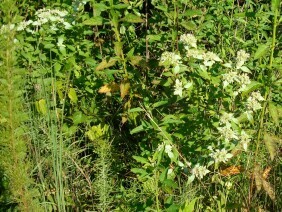 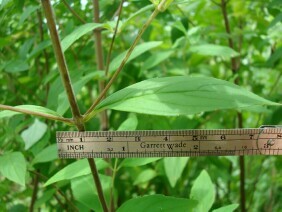 These plants were photographed in mid and late July.